Parents, listen up! 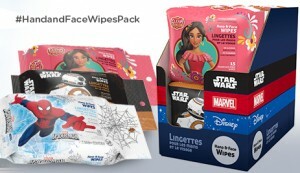 We’ve got your chance to grab a FREE Disney, Marvel & Star Wars Hand & Face Wipes Chatterbox Kit!! If you’re interested in this offer, simply click the green Apply Now button on the right side of the page, then sign up or sign in. That’s it!